Yesterday, Xiaomi announced the Mi 6X in China. The device is widely believed to launch internationally as the highly anticipated Xiaomi Mi A2, though that hasn’t been confirmed. Another Xiaomi device that many people are looking forward to is the successor of the Xiaomi Mi Pad 3. A Xiaomi executive stated that the company was working on a new Mi Pad tablet back in October, but we haven’t heard any official information since then. Now, we have obtained firmware files of a Xiaomi tablet with the Qualcomm Snapdragon 660, which we believe to be the Xiaomi Mi Pad 4. The following information is based on firmware files obtained by @FunkyHuawei, the man behind the FunkyHuawei.club service, which allows users to update, unbrick, or rebrand Huawei and Honor phones for a fee. He has shared the files exclusively with XDA-Developers. Is the Xiaomi Mi Pad 4 real? The MIUI configuration for the device states that it is a “pad” (boolean "is_pad" set to true) something that only earlier Xiaomi Mi Pad devices have specified. The default screen density (ro.sf.lcd_density) is set to 320, which is an extremely low value and something you would expect from a tablet device to show lots of content on the screen. The battery capacity is 6,000mAh, which would be really large for a smartphone. The Xiaomi Mi Max 3 would be a possible contender for such a large battery, but I’ve already dug into the firmware files for the device I believe to be the Mi Max 3 and it doesn’t match this device. 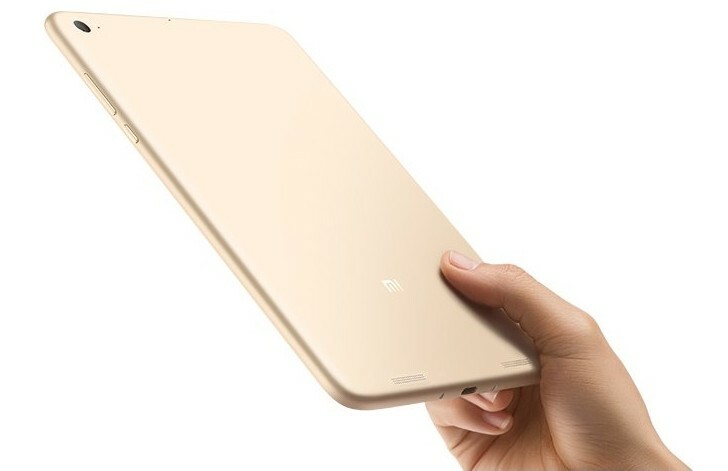 Xiaomi has only ever produced Android tablets in the Mi Pad series, so given that this is a Xiaomi-made tablet, it’s highly likely another Mi Pad. Now that we’ve laid out our reasoning for why we believe this device is the successor to the Mi Pad 3, let’s discuss some of the specifications we have uncovered. According to the device’s camera configuration files, it’ll have a single 13MP OmniVision OV13855 sensor with a f/2.0 aperture on the rear, and a single 5MP Samsung S5K5E8 sensor with a f/2.0 aperture on the front. The device won’t support 4K video recording but it will apparently have portrait mode support. Lastly, the MIUI configuration file states that it won’t have NFC support. We’ve put together a small chart that summarizes my findings. If we learn more about the Xiaomi Mi Pad 4, we’ll let you all know. Resolution 18:9? LCD panel. 320 DPI.